Stimulates cytokines, key immunological factors. Protects the overall health of the gastrointestinal tract. 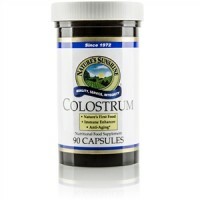 Colostrum is the foremilk produced by mammals before the onset of lactation. It contains 25 percent immunoglobulins (high-level IgG) and is rich in immune-protecting factors. These factors are known to stimulate cytokines and strengthen the intestinal lining. Studies show that colostrum is not only of great importance in supporting the immune system of the newborn, but it can also maintain the health of children and adults. Inositol hexaphosphate (IP6) is a low-molecular weight carbohydrate that occurs naturally in humans. It has immunostimulatory actions and may help the body maintain blood lipid levels and fat levels within the liver that are already within the normal ranges. Maitake mushroom contains the polysaccharide beta-glucan. Studies have shown this mushroom to exhibit immunostimulatory properties in its ability to activate natural killer cells, macrophages, interleukin-1 and cytotoxic T-cells. Shiitake mushroom contains both high-molecular and low-molecular-weight polysaccharides, including lentinan, which stimulates macrophages. Astragalus offers immunostimulatory benefits. The astragalisodes it provides boost the immune system by enhancing the production of immunoglobulin and stimulating macrophages. 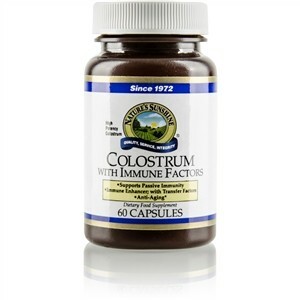 Colostrum from milk, astragalus root, IP-6 (inositol), maitake whole mushroom and shiitake mushroom mycelium.